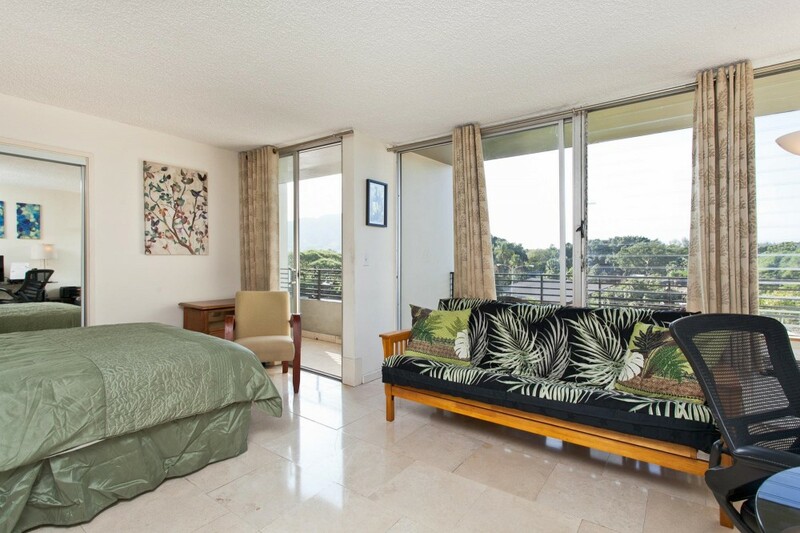 Only one block from Waikiki Beach, and with one of the largest floor plans in the Waikiki Grand Hotel - Suite 412 is updated, fresh and modern - two balconies for watching Diamond Head, the Ocean and Honolulu Zoo Park. Location, Location, Location! - A kitchenette area includes Induction cooktop, toaster oven, refrigerator and all the basics needed for a comfortable stay. Easily sleeping 3 people with a queen size bed and a sofa-sleeper.